Friends, it's that time of year when we begin gathering all the things for the school year. Our kiddos have lists of things they need and they have other needs that we're trying to meet alongside the lists, yes? This year I have something on my mind that has been eating away at me until just recently. Maybe you can relate? Hear me out. My oldest kiddo is 11 and he was diagnosed with ADHD a few years back. We've found medication that works to help him but the hard part about that is he won't want to eat lunch at all due to the side effect of appetite suppression. It's been such a battle this summer to find what he will actually eat even though he doesn't feel like eating. I should also mention that my poor boy has a major issue with dairy products. We've had to completely eliminate dairy from his diet to keep him from having really uncomfortable IBS flare ups. With this, my problem becomes "What will he actually eat for lunch at school that has loads of protein in it and is also dairy free?". It has been difficult to narrow this down but he has found the thing that he will actually eat and also agrees to have some fruit with it as well. Thank heavens. 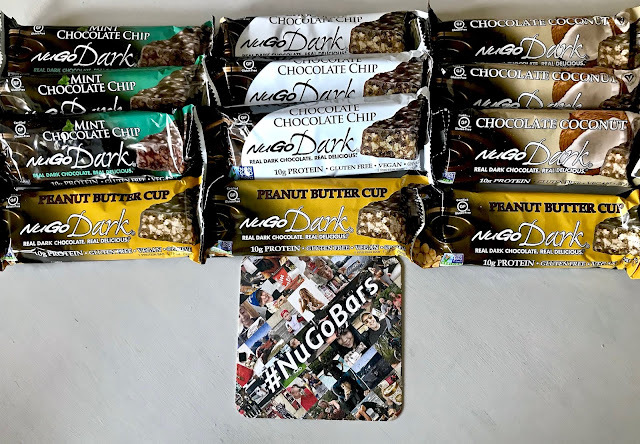 Meet the NuGo Dark bar! My Gluten free and Vegan friends will also rejoice! We stumbled upon one single flavor of NuGo dark at our local grocery store and I grabbed it on a whim, asking my boy to try it and see how he likes it. His eyes got big as he let out the biggest "MMMMMmmmmm!" I've heard in a long time. He declared it was like a candy bar and ate it really quickly. 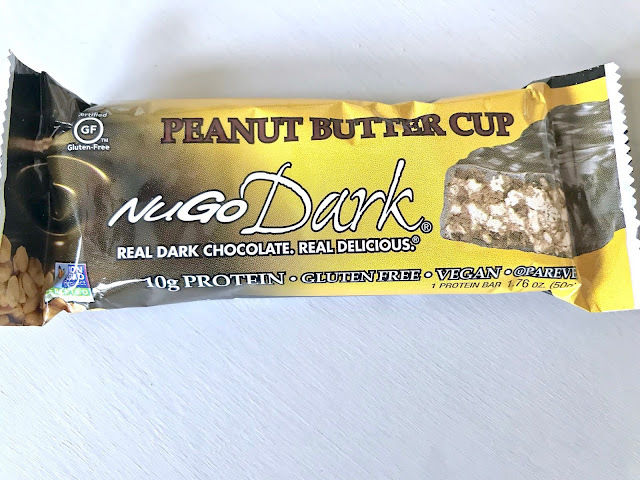 Luckily, my friends over at NuGo heard my story and asked me if I knew they had more than one flavor of NuGo Dark bar. Um...no?? They sent us quite the variety and my boy couldn't wait to try them. He's been trying them out and secretly saved the flavor Chocolate Coconut for last because he was afraid he wouldn't like it. Silly boy. 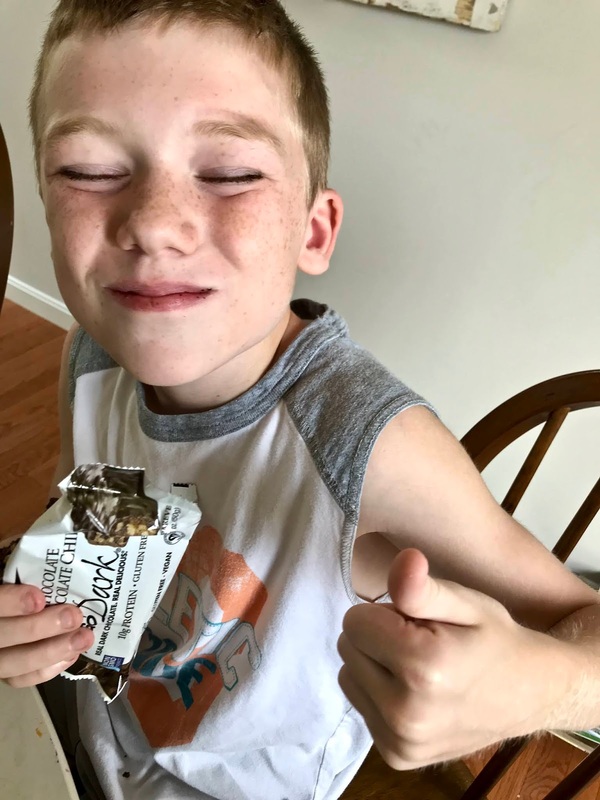 After taking a few bites, he excitedly told me that Chocolate Coconut is actually his favorite flavor of the ones sent to us. OK. Time out. Can I just tell you what something like this does for my Mama heart? I want to find delicious and protein filled things for my growing man cub to eat but it is not so easy. NuGo has helped him to keep on eating and growing and has brought happy tears to my eyes. 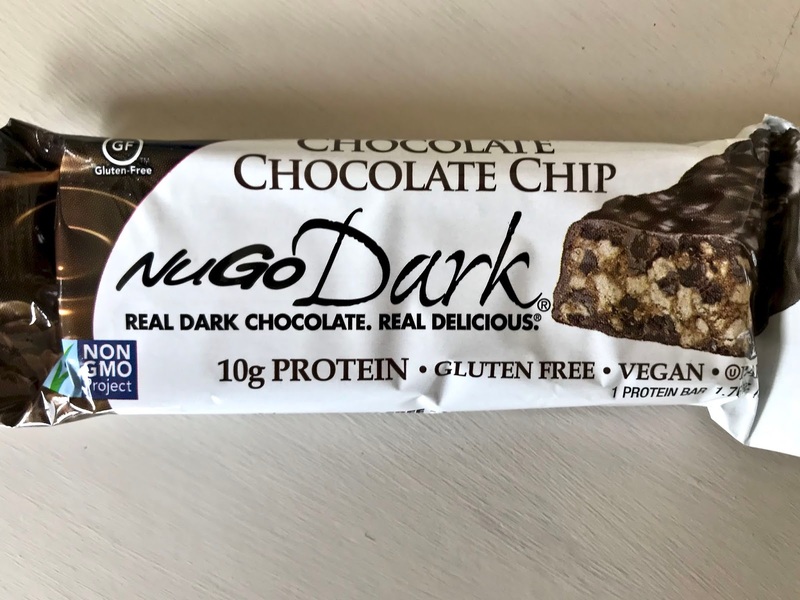 These bars are made with real dark chocolate, no fillers. That makes them delicious with real benefits. And just look at this boy! What mama wouldn't love to see such a happy reaction? This was taken right after his first bite of his first bar from the variety box we were sent. After he took this bite, he went on and on about how delicious it was and how thankful he was to help me in reviewing them. I want to be clear about something. NuGo Nutrition offers more than these NuGo Dark bars. 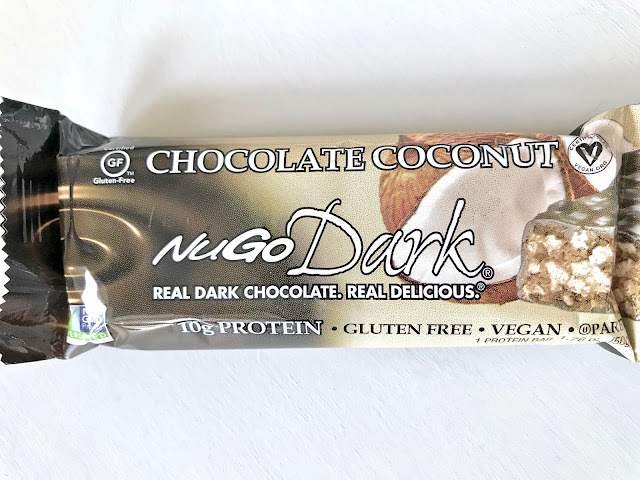 They have other varieties of bars for you to consider if dark chocolate isn't your thing. Personally, I'm hoping to try Protein Cookies and Egg White Protein Bars next. Hop over to the website and find your favorite. 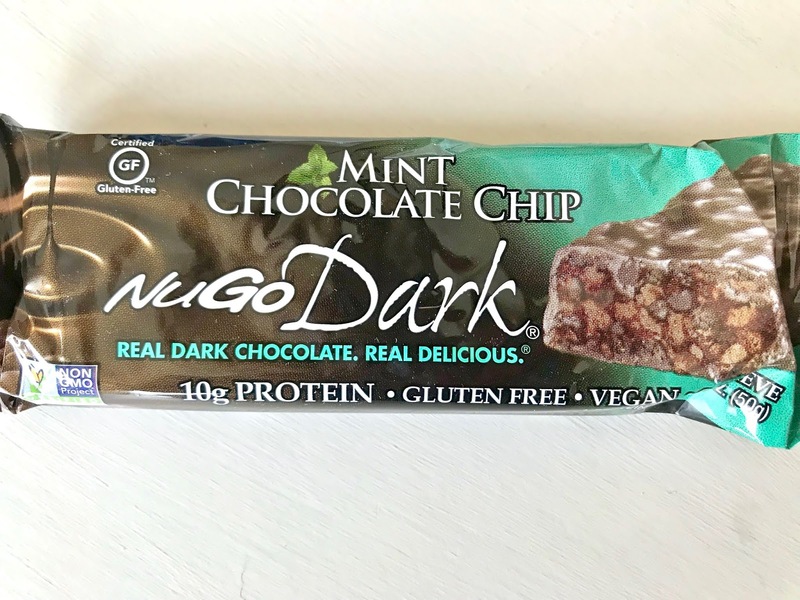 You can go ahead and order them right there to be shipped to your door or you can use their search engine to find the store nearest to you that carries NuGo.